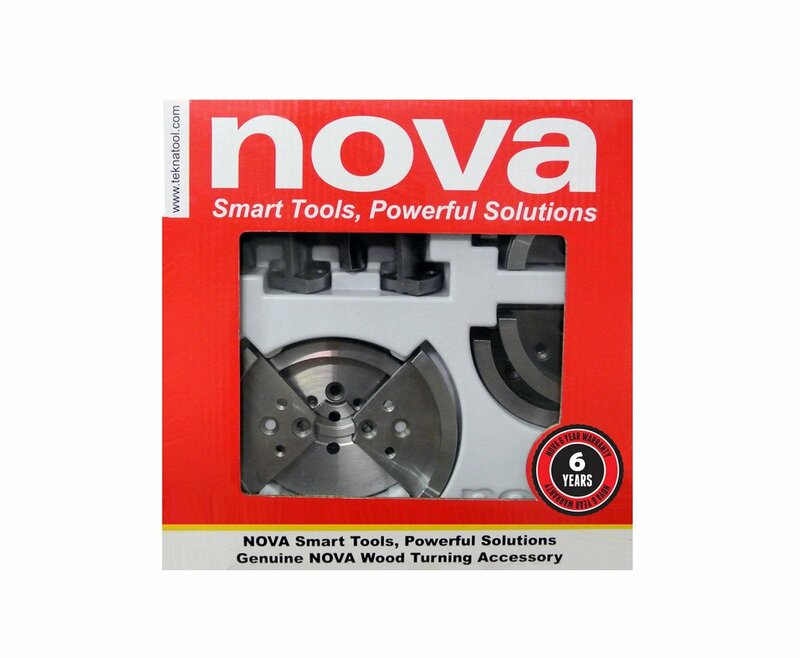 Contains the 3 most popular NOVA Chuck Accessory Jaws for big work. Add this bundle to your NOVA chuck (G3, SuperNOVA2, or Titan chucks), and you’re covered with the most popular accessory add-ons for most larger wood turning projects. 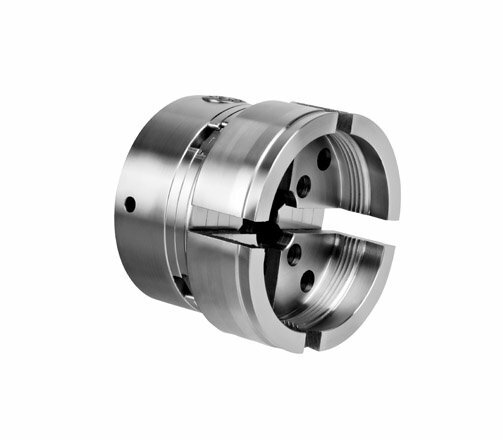 These are accessories for NOVA Chucks, designed to expand your range and capacity of your standard NOVA Chuck for specific projects and applications. Universally fits to any NOVA Chuck* for maximum flexibility, saving money as duplicate accessories are not needed for different NOVA Chucks. 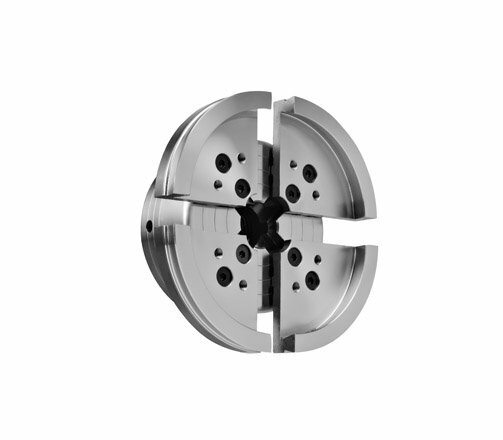 The NOVA JS130N 130mm (5″) Chuck Accessory Jaws are designed to mount big bowls, up to 29″ diameter. They are designed particularly for the expanded dovetail, reverse dovetail for gripping footed bowls. The NOVA 6017 75mm (3″) Long Nosed Chuck Accessory Jaw has a 2″ rise above its base which means a very long reach, deep inside bowls. This is a very versatile jaw with tremendous holding power externally and internally. An ideal set for green wood turning. The internal features dovetail grip for holding footed bowls and other footed work pieces. 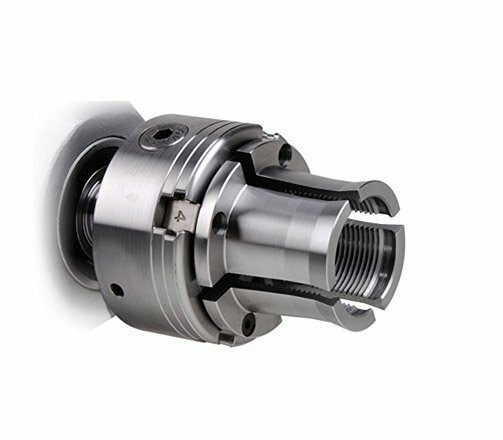 The NOVA PJSN PowerGrip Chuck Accessory Jaws are the most powerful jaw available in the NOVA range for large spigot/hollow form turning on the larger NOVA Chucks. A great multipurpose jaw for bowl and hollow form turners. Included as standard with all NOVA Titan Chucks. All 3 jaws feature the special NOVA wood turning dovetail profile, designed specifically for maximum strength and holding in wood turning, without crushing the wood fibers. All 3 jaws will hold in both the contraction and the expansion modes. They are precisely machined from a single solid piece of 1045 high tensile steel for precise closing, durability and long life. Each Jaw Set Comes with 4 jaw segments and instructions. Uses the standard fasteners that come with your NOVA Chuck. *Some accessories such as larger jaws are only suitable for use on the larger NOVA Chucks, please check manual prior to use.